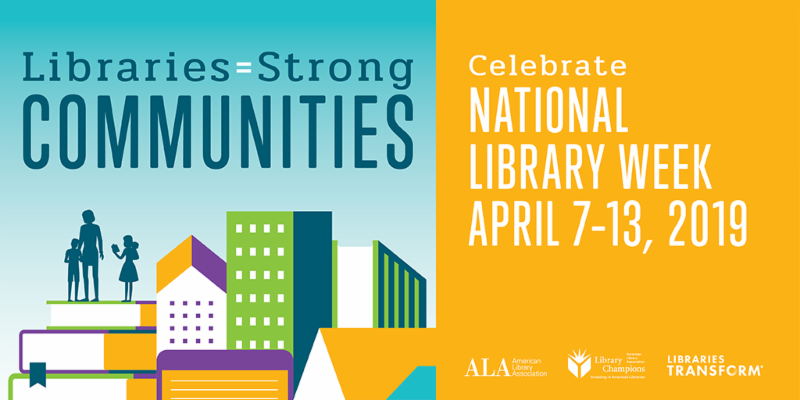 From free access to books and online resources for families to free computer and wifi access that help support members of our community, libraries offer opportunity to everyone. Stop by this week and discover a new and exciting world through collections, digital resources and more. During National Library Week we'll grant amnesty for overdue library materials returned: no fines will be collected, we just want our stuff back! It’s important to personally return long-overdue items to the circulation desk for correct action to be taken and all monies to be removed from your account(s). Note: only overdue fines are waived; replacement and processing fees may still apply. 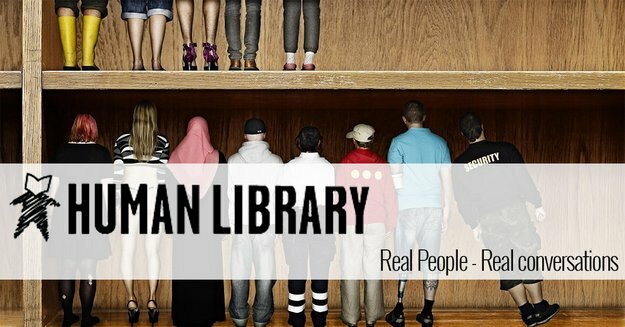 The Human Library is a living, breathing library where humans are the books and the stories are their lives. “Human Books” available to check out may include people who have experienced adversity due to race, disability, sexual orientation, gender identity, religion/belief, culture, profession, and/or lifestyle. "Human Books" in the 2019 catalog will include the first LGBTQ elected official in their town, a woman who was raised in the state’s orphanage and foster care systems, a gun rights advocate, and a young woman living with Borderline Personality Disorder. Books can be “borrowed” for 20 minutes and reserve the right to be returned at any time. The Library will ONLY be open for this special event from 1-3 p.m.; no regular services will be available. No card required, just an open mind. No registration required. Watch the Emmy Award winning documentary, COLORBLIND, by Barbara Allen. Suggested reading: My Grandmother's Hands by Resmaa Menakem available as a book, and e-book on hoopladigital. These programs are designed to help us understand racial and cultural issues, as well as provide a starting point to open up the conversation about race in Goffstown and surrounding communities. Learn more at www.goffstownlibrary.com/communityconversation . Save the dates & join us. No registration required unless otherwise noted. Evening Book Discussion: Tuesday 4/2; 6:30pm. Good Poems by Garrison Keillor. Blank Page Writer's Group: Tuesday 4/9; 6:30pm. Beginner to experienced welcome. Afternoon Book Discussion: Wednesday 4/17; 1:30pm. The Calculating Stars by Mary Robinette Kowal. Knit & Crochet Club: Tuesday 4/23; 6:30pm. Need a ride? Check out the Goffstown Shuttle info at the bottom of this email. Teen Advisory Board: Wednesday 4/17; 6pm. Teen Monthly Meet-Up: Wednesday 4/24; 6pm. "International Food Tasting"
Family Drop-In Story Time: Saturdays through April; 9:30am. Weekday Story Times - Registration is required. 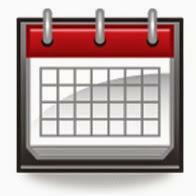 2 1/2 year olds through kindergarten: Fridays at 1pm, and Wednesdays at 9:30am. "Mother Goose on the Loose" for 1 1/2 - 2 1/2 year olds: Thursdays at 9:30am. No talent? No problem! 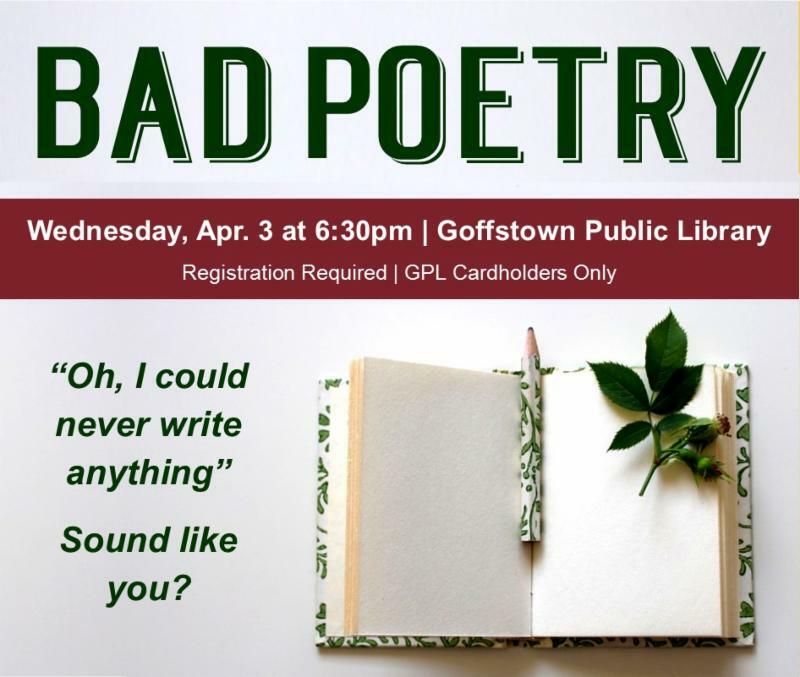 Join us for a night of literary creation in any style, on any theme and let your imagination flow without the pressure of being perfect, or even good! The evening will end with a bad poetry reading. Prizes will be awarded for the worst poem. Our second floor displays will have a selection of poetry for you to check out, and you can try your hand at creating your own with some of the activities you'll find there. We can't wait to see what you come up with! Homes: A Refugee Story by Abu Bakr Al Rabeeah and Winnie Yeung is the remarkable true story of how a young boy emerged from a war zone - and found safety in Canada - with a passion for sharing his story and telling the world what’s truly happening in Syria. Homes is available to read on your computer or mobile device with the OverDrive or Libby apps, and there are no holds or waitlists when you join the Big Library Read during April 1-15. To join the discussion and learn about the e-reader contest sponsored by OverDrive visit biglibraryread.com. 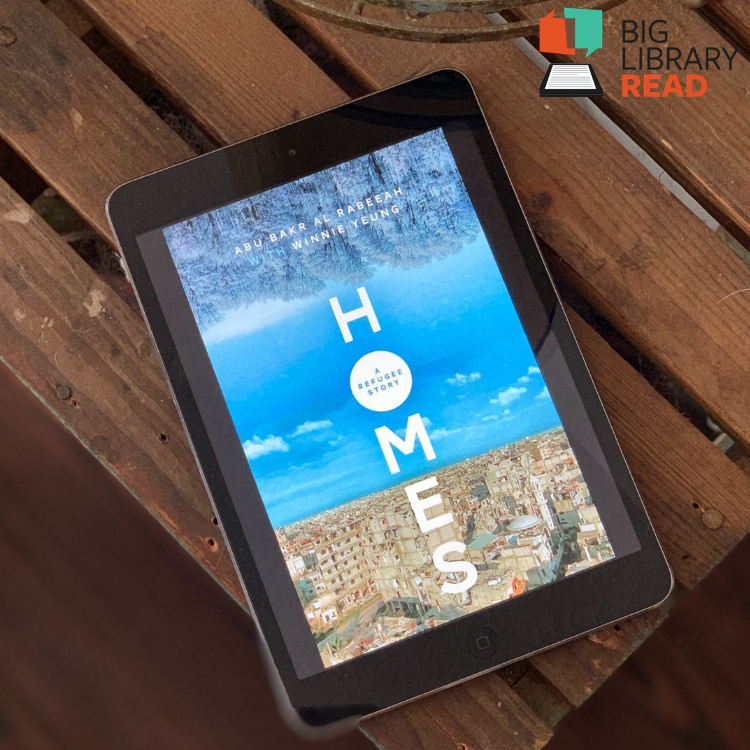 Start Reading "Homes: A Refugee Story"
Share your experiences and vision on topics such as transportation, land use, housing, recreation and engagement, economic vitality, conservation and natural resources, community facilities and utilities, and education. 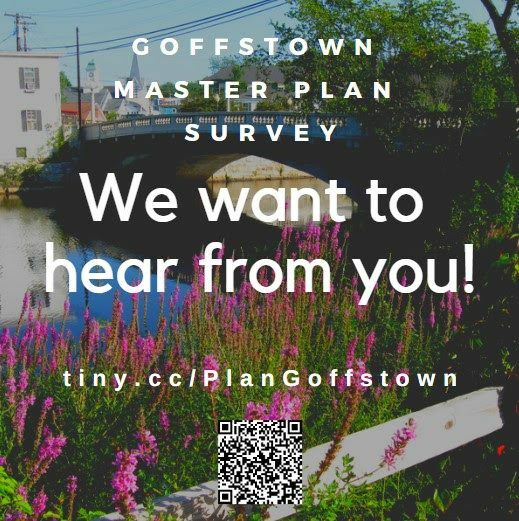 Over the course of the next year, Goffstown will be working with the Southern New Hampshire Planning Commission to update the 2006 Master Plan, and resident participation in this process will ensure it's success. The survey will be available through May 14, 2019. 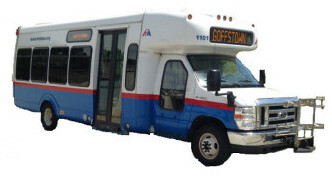 Try out the Goffstown Shuttle! This DOOR-TO-DOOR service for Goffstown residents is available every week Monday/Wednesday/Friday. Make a reservation with the Manchester Transit Authority at 623-8801 (option 1). Manchester Transit Authority runs a shopper shuttle every Tuesday and provides on-demand service Monday, Wednesday, and Friday between 9am & 2pm from any location in the Town of Goffstown to any other location in the Town of Goffstown or to any medical facility in the City of Manchester or Town of Bedford. For more information about Goffstown’s Bus Service, please visit goffstown.com/community/bus-service. 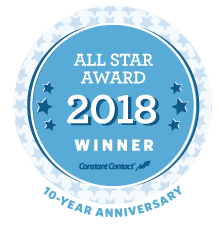 ﻿We were just named a Constant Contact All Star for 2018. Thanks to you - our subscribers - for reading and responding to our emails!